Winner of the Space Party Cricut Cartridge is.. Simple Sandy from Sandys Simple Sharings! Winner of the Echo Park 6x6 paper stack is..
And last but not least, the winner of the Twine is..
Now on to a card I made... 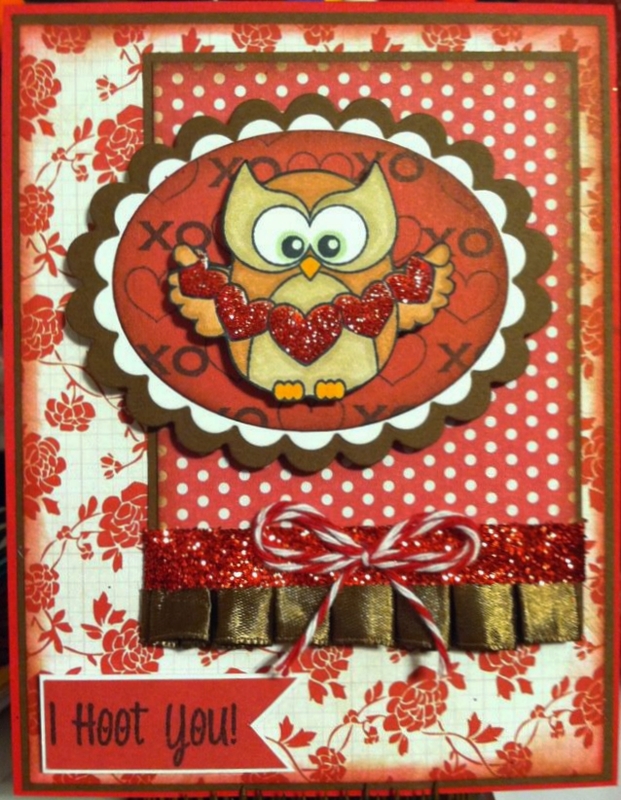 This card was made using I Hoot You stamps for the Owl and Sentiment and Valentine Treats for the XO and hearts behind the owl :) I also added glossy accents to the hearts and applied glitter over the top of them. Congrats everyone! I love this card! So cute!!! Congrats weiners!!!!! I mean winners!!!!!!! congrats girls. 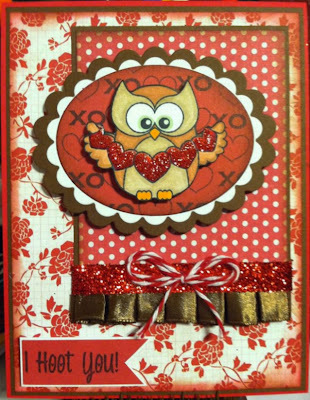 This card is super duper cute!! How stinking cute!!! Love the colors! of course I LOVE the card!!! Its super cute! love it! congrats winners (who oddly aren't me??? ).